Home / Blog / All / Avoiding Headaches Naturally! Headaches are a common concern in most pregnant women which attracts them to pills that are not advisable during pregnancy. Here are a few simple tips that can help you avoid such troublesome headaches. 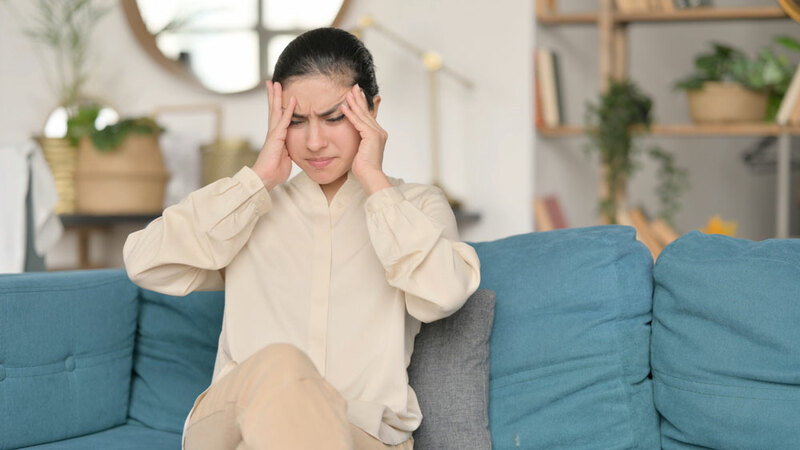 Avoid headache triggers: Keep track of your meals, activities and headaches for several days to help pinpoint your headache triggers — then do your best to avoid those. Include physical activity in your daily routine: Try a daily walk or other moderate aerobic exercise. Manage stress: Find healthy ways to cope with the stressors in your life, such as delegating tasks on your to-do list and spending time with people who lift your spirits. Practice relaxation techniques:strong> Try calming activities such as deep breathing, yoga and visualisation. Eat smaller, more-frequent meals throughout the day: This will keep your blood sugar on an even keel. Drink plenty of fluids: Staying hydrated can keep you feeling your best. Follow a regular sleep schedule. Fatigue and lack of sleep can contribute to headaches during pregnancy. Go to bed and wake up at about the same time every day, even on weekends. Rest. Lie down in a dark, quiet room with your eyes closed. Use a compress. Apply a warm compress (such as a hot towel) to your face, eyes and temples — or try a cold compress on the back of your neck. Try massage. Ask someone to massage your shoulders and neck to relieve tension. You might rub your temples, too.